Before I get to the prize pack I want to thank MamatheFox for this awesome giveaway!! The Baby Magic gift set would be for my sister’s new baby. This would be for my sister. This would be for my two great grandchildren. This is for my new granddaughter born just a couple weeks ago. If I won, this would be for our next grandchild who will arrive very soon! I would use this for my new grandchild. Thanks for the giveaway! For my lo born in Jan. I have two nieces that are expecting and if I won I would give these products to them. This would be for my best friend who’s baby is due in October. I’d love it for my baby. This would be for my niece who just had a baby girl. This would be for our little grandson. 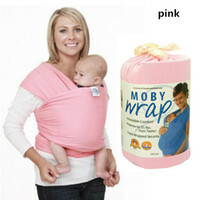 This would be for my daughter who has sensitive skin and needs to use baby skin items. For my sister-in-law’s new baby! This would be for my niece who is currently pregnant. This would be for my great nieces! This will be for my niece who is expecting.